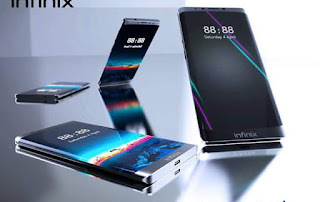 Infinix mobility set to launch a new device dubbed Infinix Zero 4 Edge. This would be the company's 2018 latest flagship device. After which Hot 6 and Hot 6 Lite may be unveiled. Benjamin Jiang, Infinix Co-founder and Managing Director took to their social media page to announce this upcoming device that would be made official come April 1st, 2018. He said his entire team were all happy and excited about the project and moreover, Infinix Zero 4 is still a hot cake in the smartphone market at this very point in time. Infinix Zero 4 Edge is a premium device with mouth watering specs. The company said they will be stepping up their game by releasing premium phones that will compete with mobile phones like Samsung, LG, Sony, and some other high-end devices. Infinix Zero 4 Edge is said to come with mouth watering features that can't be seen on any previously launched Infinix phones. Though the official specs of the Zero 4 Edge is not yet out but we have the preliminary specifications for you. Some of the specs includes 5.7 inch Full HD Super AMOLED display with 2k resolution protected by a Corning Gorilla Glass 4, Android 8.0 Oreo operating system, Helio X27 Chipset, MediaTek X20 deca-core processor, a new type of fast charging technology. The phone would come in two different versions 4GB/6GB RAM both with 64GB inbuilt memory storage expandable up to 256GB using a microSD. CONNECTIVITY: USB Type C, Bluetooth, WiFi/Hotspot, NFC, FM radio, PDF reader, 3.5mm audio jack. We have no information on the battery capacity and price range yet. Let's wait for the official release. With all been said, let's take this info with a pinch of salt. The phone really has mouth watering specifications as it has presumed by the company founder, we cant wait to see it in the market. Where did you see weight? Or have you gotten the phone? The specifications really does look premium indeed. I like the fact that they want to step up and compete with the likes of Samsung, but I also hope that they will continue to keep the price far below that of Samsung.